The Birth Stories is a community based in Venice, California, initiated by three doulas: Paula Mallis, Vanessa Halby and Kate Danson. It offers monthly meetings for birth story circles, as well as workshops and retreats. Their mission is “to create a sacred space and community for women to come and share their experience as it relates to pregnancy, birth and motherhood.” Read on for details on how to participate, or perhaps get some inspiration for finding or forming a similar group near you. The Birth Stories monthly gatherings are designed as a supportive environment for women to connect and share their experiences pre- and postpartum, with particular emphasis placed on creating a non-judgmental space, where all birthing decisions are heard, accepted and supported. Each monthly meeting focuses on a few specific topics, often with an invited speaker, and three women are invited to share their own birth stories, with input relating to the specific topics welcome from other participants. 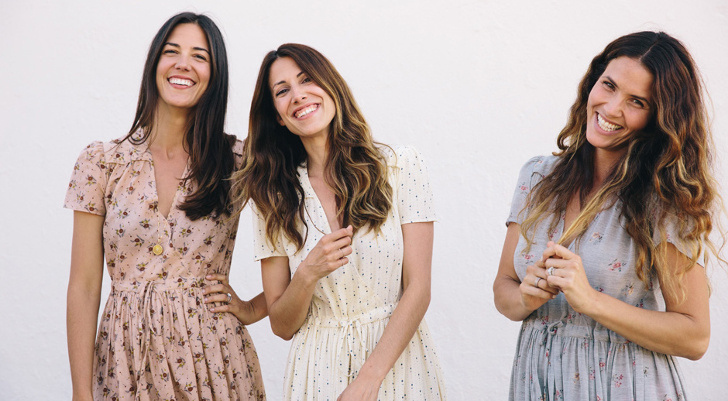 The Birth Stories is a community based in Venice, California, initiated by three doulas: (L-R) Paula Mallis, Kate Danson and Vanessa Halby.